Sharks, lions and spiders get all the rep. But you should be afraid of these 'cuddly' creatures too. For all the lofty associations - ballet, literature, the Queen - the swan is actually one of the most volatile and dangerous birds about. As recently as 2012, a man was kayaking along a pond in Chicago when one knocked him out of his boat and then prevented him from swimming to safety. That man drowned. Although 'death by swan' is an extremely rare way to go, low level attacks are common, such as the case of notorious Cambridge swan "Mr. Asbo" whose attacks against rowers along the River Cam became so frequent, he had to be removed. In Britain, hippos are used in children's story books and to sell chocolate-flavoured cereal in TV adverts. In sub-Saharan Africa their reputation is slightly different. These 'river horses' kill more people per year than any other mammal, either by stomping them into the ground with their 2-ton bulk or mauling them to death with their milk bottle-sized teeth. The evolutionary equivalent of throwing all the leftovers in your fridge together and hoping it works out, the platypus is a creature so fundamentally ridiculous-looking they called it a platypus. But whatever you do, don't laugh in this semiaquatic Aussie mammal's face: they have spurs on their legs, and the males pack a venom so potent it will leave you writhing on the floor in a state of muscle-spasmed agony. Despite a face so innocent it makes Bambi look like a washed up old cynic, South Asian primate the slow loris is actually one of the only poisonous mammals in the world - and therefore one of the most dangerous. Stashing its venom in its elbows, the usually placid loris is capable of getting annoyed, mixing the toxin with its saliva and then administering it to you via its teeth - a combination that can cause death by anaphylactic shock. In 1926, a teenager decided to pick a fight with one of these docile-looking flightless birds from Australia. 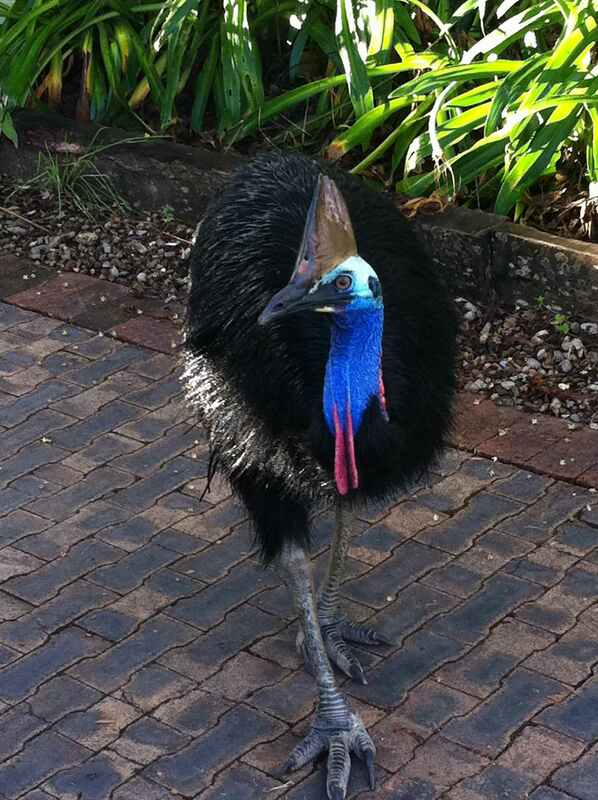 What the kid didn't know is that when provoked, a cassowary is one of the most dangerous creatures in the world. Leaping at him with a set of claws that can cut through human skin and organs like a scalpel, the cassowary clocked up its first human fatality. The amount of people it has merely badly injured - or disemboweled - runs into the hundreds. Don't let the fact they usually hunt one of the world's smallest creatures fool you - this lumbering great beast could whip your guts out with one swipe of its sharp claw if it thought you were taking the piss. 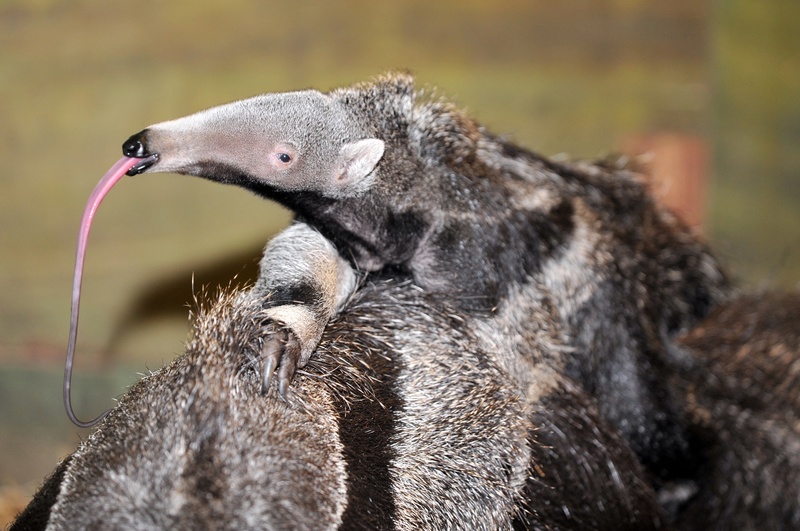 Tragically, in 2007 a young zoo keeper in Buenos Aires was killed by an anteater after her leg had to be amputated in a ferocious unprovoked attack. Everyone loves an elephant - until one stomps you into the ground, as they do to hundreds of people in India, every year. Yes, there's a malevolent streak running through everyone's favourite gentle giant. It's true they're smart. It's true they mourn lost loved ones for years. It's true you can ride on their back most days. But now and then, for reasons we struggle to explain, elephants go absolutely nuts, executing humans or stampeding through villages en masse. And you think you know someone. Ask this seal to catch a fish, clap, or balance a little ball on its nose and see what happens. Actually we'll tell you: you'll find your face clasped in its rancid jaws and your body dragged into the unthinkable depths of the Antarctic ocean, where you'll be tossed around like an piece of seaweed until you die. The leopard seal (clue's in the name there) is a vicious predator that takes penguins out with ease and has been known to hurt humans if they stray too close, including a a Scottish explorer in 1985 and a snorkeling biologist in 2003. For years the true nature of chimpanzees has been obscured by the fact they can be made to act a bit like people, and because of that - in the years before animal cruelty was bad - they were dressed up in cute hats and paraded in films to the point their soul collapsed and we considered them roughly as dangerous as cats. But proper, wild chimps are not to be messed with. Vicious predators by nature and incredibly strong in adulthood, they have been known to literally pull people's faces apart. Horrifically, in 2002, an adult male in Tanzania's Gombe National Park actually stole and ate a human baby.